We’ve created a luxury photo booth, which not only looks great but will enhance your wedding or event. 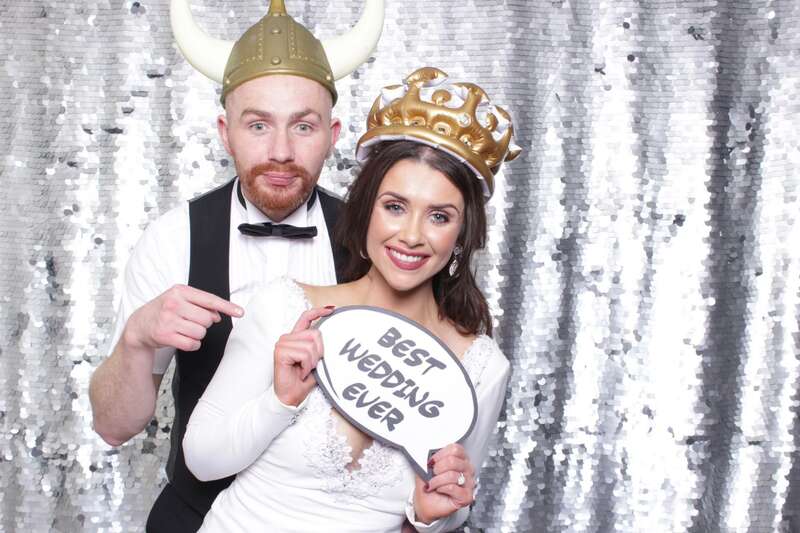 Roxbury is perfect if you’re looking for a photo booth in Belfast, Derry ~ Londonderry or Donegal. Get ready to Rox and add instant glitz and glamour to your wedding! Gone are the days of cramped, tight booths that don’t look the part. Thanks to Roxbury’s chic, open air design, the booth blends flawlessly into your event. Choose from our carefully chosen of-the-moment props, or we can add custom props specifically for your event. We offer a wide range of gorgeous sequin and printed backdrops, from our signature LUXE collection to our Mermaid and Designer collection in a wide range of colours. Roxbury Booth provides the best quality prints in the business! Guests receive a complementary collage of images on a gorgeously designed print as a keepsake. Our friendly and fun Booth Butler will oversee the entire proceedings so you don’t need to worry about a thing. Just step inside and have fun. This is where the magic really happens… Get social and share your snaps on your social media platform of choice. Head over to our dedicated Roxbury site and find out more.